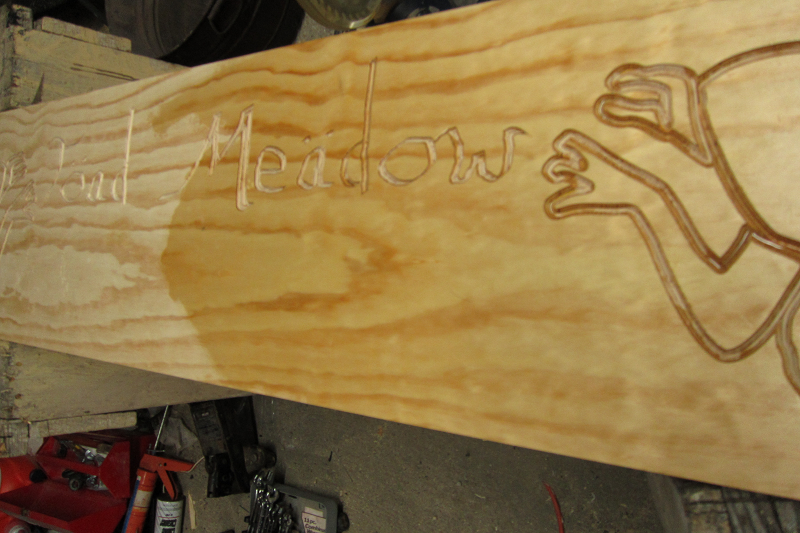 This fantastic bar top was submitted by Damon of Toad Meadow. 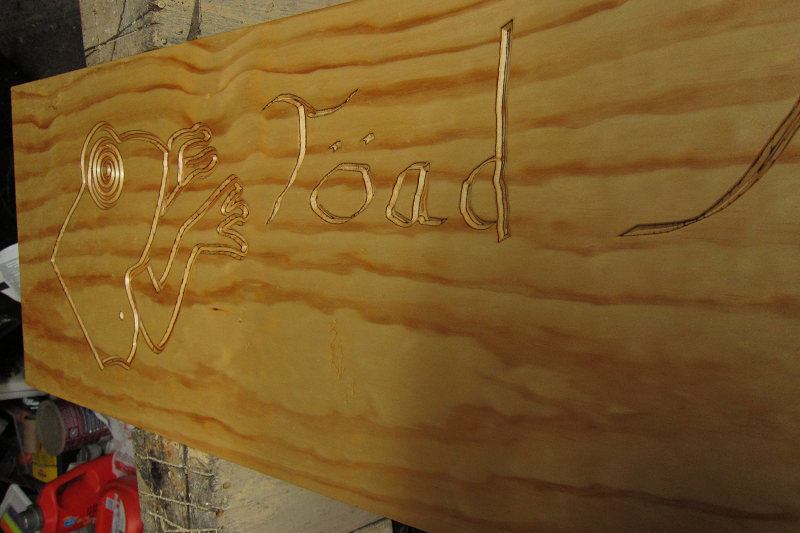 He used a piece of pine plywood and made the design with a vector graphics program. 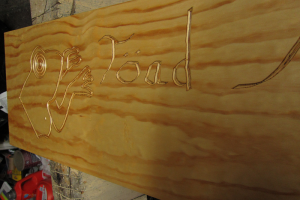 He then cut the design out using a CNC router.